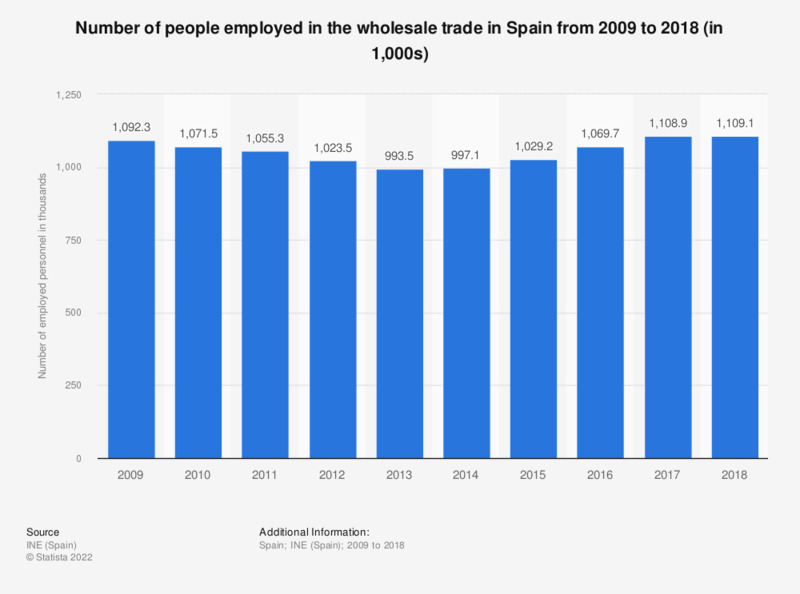 This statistic shows the number of people employed in the Spanish wholesale trade from 2009 to 2016. Between 2009 and 2015 the number of wholesale trade employees declined steadily. Since then, numbers have begun to increase, with 1069.7 thousand people employed in 2016. * Figures exclude motor vehicles and motorcycles.